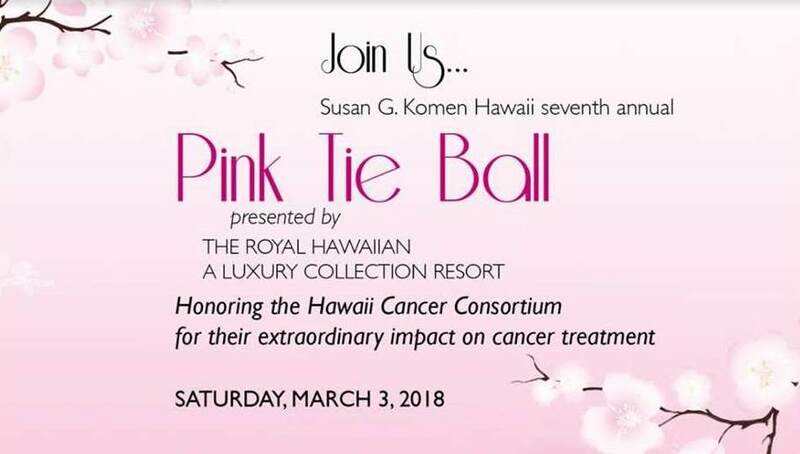 Thank you for supporting the 7th Annual Pink Tie Ball presented by The Royal Hawaiian A Luxury Collection Resort. and we honored the Hawaii Cancer Consortium. Take a look at our 2018 Pink Tie Ball printed program for information and to view the wonderful Auction Donors and Sponsors.